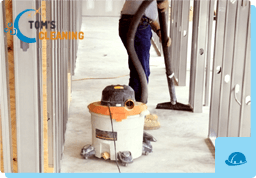 It is possible to receive high-quality after builders cleaning services in Earls Court, London and the close areas, thanks to the hard-working professionals of Tom’s Cleaning Services. They are specialists with a lot of experience and they are always ready to help a customer in need. We know what a dreadful task the after builders cleaning can be for our clients and that is precisely why we are here to offer our professional help. There is no need to struggle with this unpleasant task yourself, so pick up your phone and contact our experts as soon as you finish with the renovations in the premises of your place. Our inexpensive after builders cleaning procedures can be booked for Earls Court SW5 and any other part of the city of London whenever the client wants. Cleaning up is what our specialists can do best. They can tackle stains and any other grime very fast because they have the most effective professional cleaning equipment. It consists only of non-toxic detergents and different energy-efficient machines that will protect your family’s health and bring back the cleanness in your home at the same time. There is no point in buying expensive cleaning supplies for the disinfection of your property after the last renovations because through our effective procedures, you can save money and freshen up your home at the same time. Hire today the specialists from our leading company and your entire place will be disinfected from top to bottom before you know it. We can guarantee that only our company can offer you top-of-the-line builders clean up in SW5 Earls Court and the area, which are effective and also affordable at the same time. Dial our easy number and see for yourself how skilful and reliable our employees can be. We keep our headquarters constantly open, so pay us a visit.